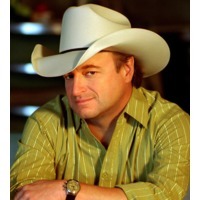 Mark Nelson Chesnutt (born September 6, 1963 in Beaumont, Texas) is an American country music singer known for his neotraditionalist country style. Chesnutt recorded his first album, Doing My Country Thing in the late 1980s on an independent record label; his national debut came in 1990 with the single "Too Cold at Home", the first single from his second album, which was also titled Too Cold at Home. Chesnutt has charted more than thirty singles on the U.S. Billboard Hot Country Songs charts, including eight Number One singles. He has also released eleven studio albums and a Greatest Hits package. His first three albums — Too Cold at Home (1990), Longnecks & Short Stories (1992), and Almost Goodbye (1993) — and his 1996 Greatest Hits album have all achieved RIAA platinum certification in the United States, while 1994's What a Way to Live was certified gold. His most recent album, Rollin' with the Flow, was released on June 24, 2008. Its title track and lead-off single was a cover of Charlie Rich's hit single from 1977.